Who doesn’t love music and isn’t somehow emotionally, mentally or even physically affected by it? Our favorite effect is how emotional expression in music and speech affect the brain similarly. Music imitates the tonal characteristics of emotions relayed through voice, which taps into our innate communicative abilities. That’s why music can cause a stir in your senses through its different instruments, modes and melodies – and this applies to music of all genres and cultures around the world. 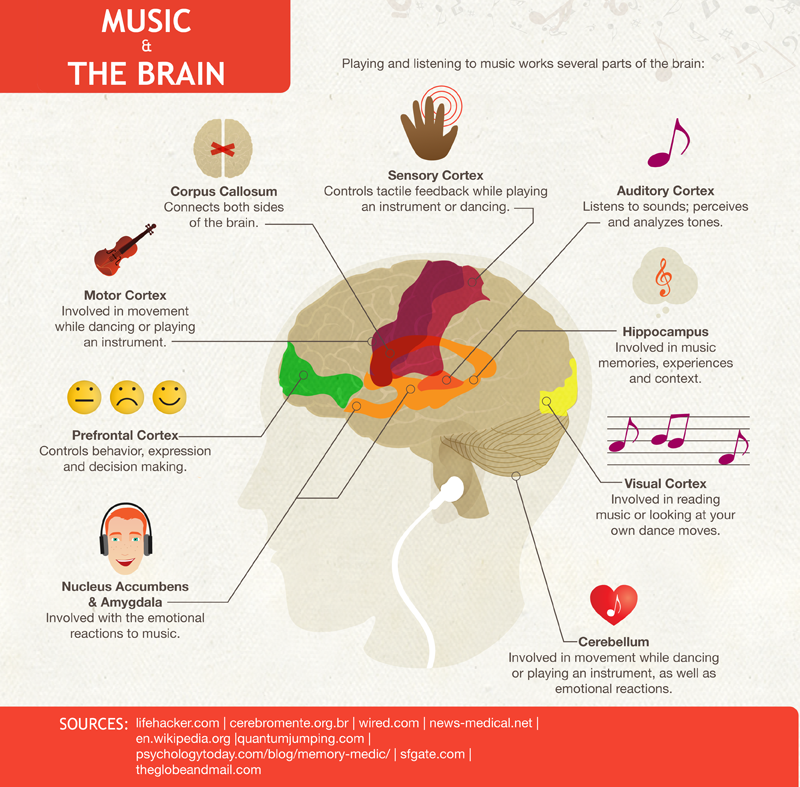 Get a taste of Melanie’s article through the infographic above, and find out what the 15 effects of classical music to the brain are by reading all about it here.